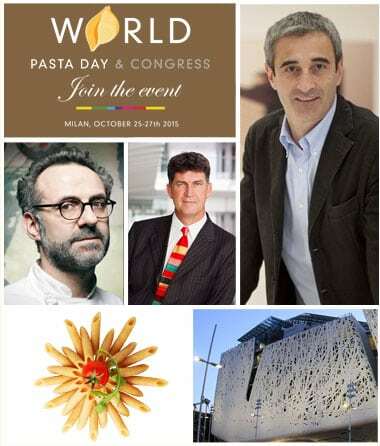 World Pasta Day & Congress 2015: the updated schedule! “We want to tell a story, we want to talk about a unique and incredibly versatile product which can really make a difference at tables all around the world, from both an environmental and nutritional point of view. We want to talk about PASTA! “. This is how the President of the International Pasta Organization , Riccardo Felicetti, introduces the schedule for the next edition of World Pasta Day & Congress, which will be moderated by the British journalist Alex Thomson, Channel 4, backbone of the TV channel. Find out more about the World Pasta Day & Congress schedule … we look forward to seeing you! World Pasta Day & Congress 2015: the updated schedule! | World Pasta Day 2015.